Emily Forrest, MD, is a highly experienced, board-certified developmental-behavioral pediatrician. She specializes in the evaluation and treatment of children with developmental delays, ADHD, autism, anxiety and learning disabilities, and performs developmental assessments of premature babies. A graduate of the SUNY Downstate College of Medicine in Brooklyn, Dr. Forrest completed her pediatrics residency at Long Island Jewish Medical Center before continuing her sub-specialty training via a prestigious fellowship in developmental and behavioral pediatrics at New York University Medical Center. She is an avid educator and caregiver, and is a recognized authority in her field. Dr. Forrest also provides evaluation and ongoing medication management for patients. Dr. Forrest is the Medical Director for the Center for Child Development as well as the Director of Residency Rotation for Developmental and Behavioral Pediatrics. 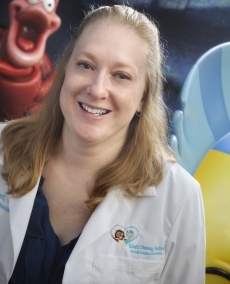 Dr. Forrest applies her outstanding clinical skills, compassionate spirit and dedication to excellence to help children and adolescents overcome specific challenges and achieve their true potential through the use of a medical management model. Behavioral Peds - New York U. School of Med.